Web design is a term that is given to a process where the experts are creating websites. 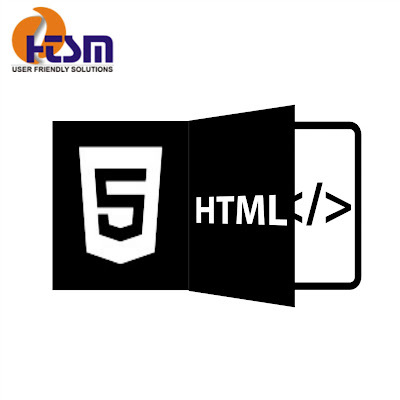 The web designers have to encompass lots of factors at the time of designing so that it can meet the requirement of the business. The different aspects of web design are graphic designs, webpage layout, graphic design, interface designs, authorizing etc. Your website reflect your business quality, trust and awareness So it is your primary focus to design and develop your business site by the expert and think on every step. A responsive website – at the time of website design plan, one of the major areas of focus is to design a site that responds to the user’s behavior. Moreover, it is the approach of a professional or a website designer that suggests designing in a specific manner. Designers need to concentrate on the orientation, environment, platform, screen size and much more. Other areas of focus are the layouts, flexible grids, appropriate use of CSS and images. User-friendly layout – the website is basically made for the target audience. It is the duty of the designer to follow all the necessary steps for making it user-friendly as it is equally important for having an original and beautiful site. Professionals use the perfect combination of uniqueness, attractiveness, along with user-friendly attributes. These are some of the reasons the keeps the visitors coming back every time for more and more. Additionally, a user-friendly website draws the attention with their informative content. Logo should be placed on the top left-hand side. All the products should be mentioned and easily accessible. Visitors do not need to call for clarifications. Complete information about the products and services should be mentioned. Connectable to social media platforms. Easy website navigation – the website is the direct key to enhancing the sale of the business. It is a platform where the seller comes in direct contact with the buyers and establishes secured transactions. In order to provide swift and safe service, the designer must focus on easy website navigation facility at the time of website planning. Loading speed of the website – the present age is all about time management. So in this case also, a website will lose its potential customer if it takes more than 3 seconds in loading. The speed of the site is a vital point in the web development and plays a very important role especially in e-commerce sites. Desktop users expect to load within 2 to 3 second whereas a mobile user is a bit more patient. CSS – this is also responsible for the website speed thus designers must ensure accuracy and intelligent coding. Avoid copywriting and focus on originality – web designers want to design and create stylish pages but fail to understand that it can become a barrier to the users. It is essential to keep it simple, attractive and original. Professionals may use fresh images, custom designs, unique and fresh content such as pdf, images, videos, text and so on for creating SEO friendly website. Create idea to generate lead – website designers have a lot of areas to consider at the time of designing and one of them is to incorporate the idea to generate a lead. An in-depth research is necessary so that the task is completed within the budget. find best web development company then must visit this post. I’m Theresa Burns, from Houston Texas. I’m therefore thankful to Lifestyle Design International reviews for allowing me personally to have my favorite financial internet month in the online business and I look to double that the following month. I advise you to check this out if you need to get really useful info. It will help you with writing your resume job description.